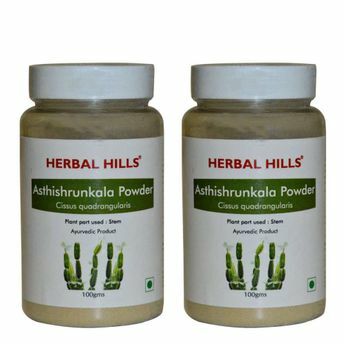 Asthishrunkala is also known as hadjod because of its characteristic property to help in maintaining joint & bone health. Herbal Hills Asthishrunkala Powder helps pacify the Kapha & Vata doshas while increasing the Pitta dosha which may help in correction of metabolism. It is considered to have antioxidant, analgesic and anti inflammatory properties.